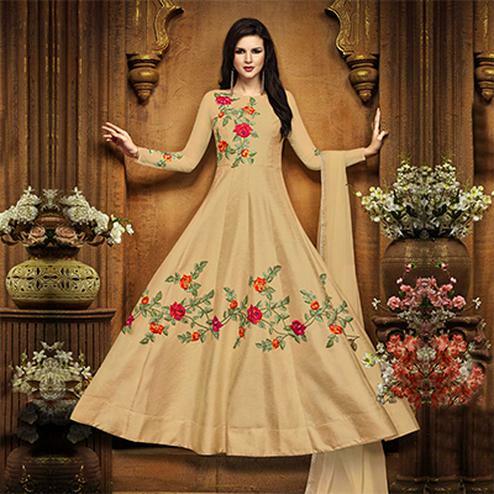 Attract compliments by this classy beige heavy silk floor length anarkali suit. The pretty heavy embroidered, lace, stone work across the attire is awe inspiring. Available with matching santoon fabric bottom and lining along with chiffon dupatta. Specially designed to wear for wedding functions, receptions, engagement ceremony and family occasions, where you want to be center of attraction. Team this suit with classy accessories and high heels for a complete look.